PUBLIC transport operators are threatening to hike bus fares if government decides to increase the price of fuel by E1.20 per litre. Speaking during a press conference yesterday, Swaziland Commercial Amadoda Road and Transport Association (SCARTA) Chairperson Duma Msibi said they wanted to know as to where the added E1.20 would be used by government. They said if it was not used for improving the country’s roads, then as transport operators they were totally against it and would increase the fares in retaliation. Msibi said as transport operators, they met after the budget speech because they were not happy with it. He said they understood that the minister of finance was trying to improve the economic status of the country through taxes and increasing levies. Msibi said they were of the view that the minister should have informed the nation what had resulted to the economy reaching this stage. He said because if the cause was not identified then trying to fight for economic recovery will be pointless. “Every responsible citizen needs to know what collapsed the economy,” Msibi stated. He added that if the proposed E1.20 was anything to go by, then there should be an independent body to monitor it and make sure it is used in the country’s roads. Msibi said the situation was so bad in such a way that in some roads, vehicles had to use one lane and give each other space by taking turns using that lane. Msibi said as transport operators, they should have a say on the proposed E1.20. He opined that what made things worse was that as important stakeholders they were never consulted about the fees, but they only got to learn about this through the media. The transport operators, during the press conference, revealed that they were no longer making any money because the little they made was taken by traffic officers through fines. “If E1.20 is implemented we have to recover it and there is only one way we can do that through raising bus fares by the very same margin which government has used,” Msibi stated. The transport operators said it was very unfortunate that government passed the budget speech without recommendations from transport operators who are crucial role players in the economy of the country. They emphasised that there was not even one single member of Parliament who could stand up and attest that he engaged his people at the different tinkhundla on the proposed E1.20 fuel increase. They said it would seem like the tinkhundla centres were no longer serving the purpose which they were designed for in the first place. Furthermore, they said it was a pity that government wanted roadworthy vehicles while the roads were in a very bad state and not worthy to be used by vehicles. The transport operators said they wanted to engage government on this issue and advise on how they could tackle the situation in order to get the country back on its feet. The aggrieved transport owners said if government refused to meet them and effect the hike, then they will have no choice but to increase transport fares. They said they would call the media the day they decided to raise fares and inform the public since it seemed that was the only way communication was done these days. 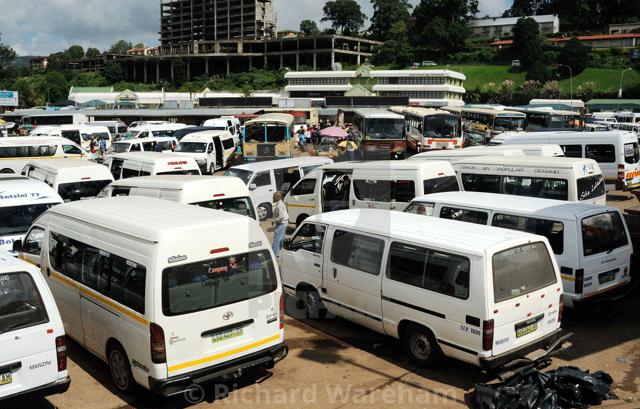 Swaziland Local Transport Association Chairman Mandla Dlamini said as public transport operators, they learned through the media that government was planning to offer transport services to civil servants. He said they should have been consulted because civil servants were their main customers and without them they would suffer. He said if the E1.20 was given the go ahead over and above this, then it would be a major loss for business. Operators said if government wanted them out of business, then it should engage them in talks on how it (government) could buy them out. Dlamini, on the other hand, said now that Easter holidays were around the corner, traffic police would be out in full force stopping public transport and issuing fines. He said it seemed government had turned the public transport industry into a cash cow and was now milking it dry. Dlamini said it was a pity that they were paying for permits and a lot of other documents at the public works and transport ministry but were not getting the service they deserved from the ministry. He said everytime they visited the ministry, they were told that the machines were down or there was no paper, among many other excuses. The transport operators said because of this situation, even banks were refusing to extend vehicle loans to them because it seemed the transport industry was no longer stable.